After plans to go to Trichy from Karur flopped on Sunday, a friend of mine and I decided to explore this place called Mukkombu. We took off in the morning around 9 after a light breakfast. From Karur any bus that went to Trichy had to pass through Mukkombu. We boarded one of such Trichy bus, only to find that it won’t stop at Mukkombu. As usual, the private buses had their own set of rules and regulations. Well then we got in the reliable TamilNadu State Road Transport Cooperation’s PUV (People Utility Vehicle, as compared to that of SUV’s – Our own Government Buses). We got down at Pettavailthalai, a stop beyond Kulithalai, and took a town bus (local bus, as it is referred to locally) to reach Mukkombu. Mukkambu, pretty much says by itself that it’s a tourist spot. It has a huge arch that welcomes you. And as soon as I entered, like anyother ditto tourist place, this place too had a ticket couter and a check gate for vehicles to enter only after getting a ticket. It was a Rs. 10 ticket for us and Rs. 15 ticket for my dearest camera. In there, was a little pond with a little boat, and I lost hopes of boating in that less than 1 foot deep water which hardly covered 1 ground. There were 2 parks with every other game and loads and loads of children on them. A typical tourist place on a Sunday. I found it heartening to see the kids play like that. It was long since I’ve seen such a scene. With the advent of video games and X Box’s, I’ve always had this feeling of kids losing touch with real world. Now, this scene had meaning in it. Walking down further, we reached the dam – Upper Anaicut (The anglicized Tamil word for Dam). 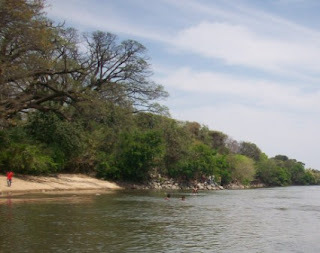 The Grand Anaicut is the Kallanai, past Trichy. Like many other dams, this too lost its luster and charm and was almost dry. As luck would work out, I met an age old school friend of mine, with whom I had lost touch with. 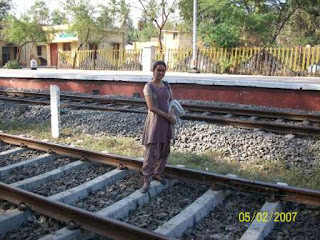 She was on her way to Chennai from Malaysia via Trichy. Since the train was at night, she was on a day out. It was a pleasant surprise. I heard my name being called out and was wondering who could it be. On seeing her face, I felt so nostalgic with the feelings of School days that overwhelmed me. We reached the other side of the dam and enjoyed the site of the lovely river. I could reach the middle of the river, thanks to the low water level. With the typical instincts at a river, I picked hyacinths, pebbles, gave my legs to the fishes for ‘natural pedicure’. It was perfect. Then came the not-so-perfect incident. My skin tore on the leg, thanks to the ‘Kudimakkal’, as they are called locally with great love! The sharp edge of a broken alcohol bottle tore my skin. Band aid in my mobile-hospital (What else, my own handbag which always has stocks of pain killers, bandaids, crocins etc!!!) 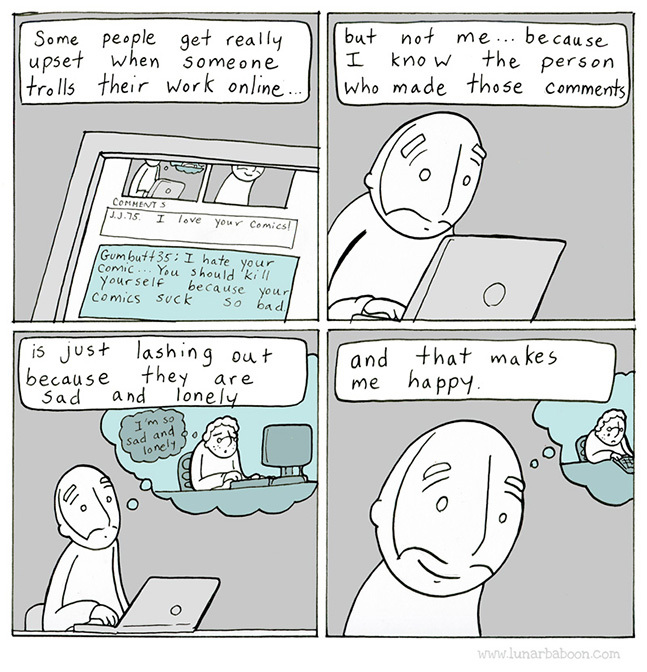 helped me. Our lunch was a apetizing set of 2 ‘vazhaikkai bajji’s’ (Kele ke pakore) and some chips with juice. And then we planned to start back to Karur. We couldn’t get a bus to Pettavaithalai, but instead we had to get our bus to Perugamani. Now that was blessing in disguise. We reached Perugamani and waited for a bus. After seeing about 3 overly packed buses, we opted to take the passenger train. So, we went to the railway station and had a relaxing half an hour wait. 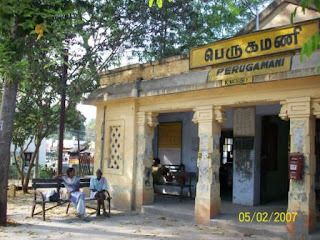 It was the Perugamani Station. That itself looked like a my-kinda destination. The stretch of the platform and an almost ancient building with hardly few people and surrounded by trees and little huts on the opposite side. Picture Perfect. With hardly any trains that pass thru the place, it was a perfect excuse to walk in the tracks. I crossed the tracks and on the opposite side were these huts followed by huge acres of cultivation. With cows and hens that share the place with humans, this was a perfect ecological balance, far from the cry of the concrete jungle. I seriously felt like never leaving the place, when it was almost time for my train!!! Any bus to Trichy will pass thru Pettavaithalai. You didn't reach the other side of Mukkombu. 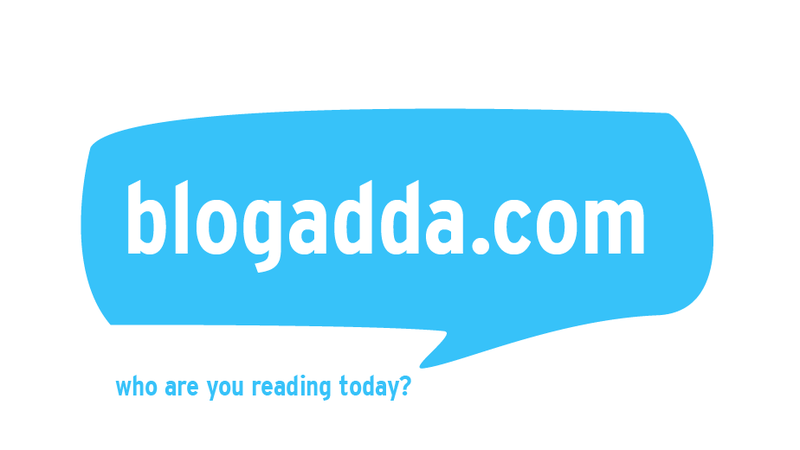 Gunaseelam is located on the other side. I don't remember the deity. some famous temple is there. Ya. There is a famous temple both at Gunaseelam and Kulithalai. Gotta go to bath the places. Will go and write bout 'em. 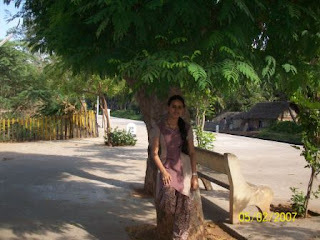 We visited this beatiful place last year during our Thanjavur Temple Tour. 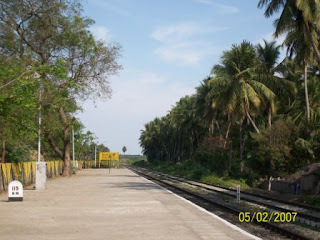 Mukkombu is located on the Karur Trichy Route (18 kms before Trichy) - where the mighty Cauvery branches in two - Cauvery & Kollidam (or Coleroon). The Upper Anicut,which facilitates this,was built by Karikala Cholan around 2000 years ago. These two rivers encompass Srirangam turning it into an island before they meet again at Kallanai or Grand Anicut. This is an immensely beautiful place & serves as a sanctuary for a weekend getaway. btw.. who is that iskool friend.. namma iskool huh? Yup da. Remember Helen Christina, Pure Science Grp.? Met her only. Witty..??? Any particular incident that makes u say so.??? 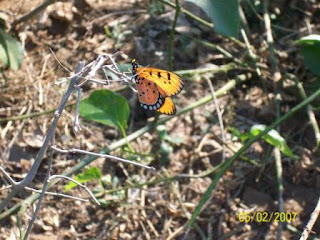 Hi Mitr, I am afraid I dont know anything about the butterfly in this post. There are some 1400 different species of Butterflies in India. Check out this link that I have found. It could be a species of Checkerspot like they have in America. Great to know you dear, a native of Perugamani!! !